Congolese troops killed 36 Burundian rebels in clashes with armed groups in the east of Democratic Republic of Congo and three soldiers also died, the army said. The Congolese army mounted a series of operations between April 6 and 8 in South Kivu aimed at regaining territory from Burundian rebel groups National Liberation Forces (FNL) and the Burundian Republican Forces. 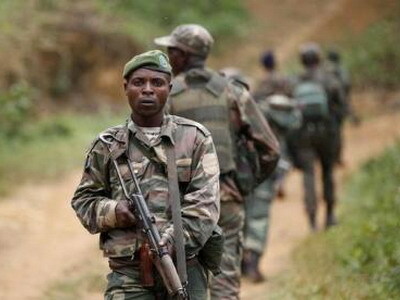 “During the three days of combat, 36 rebels were neutralised,” army spokesman Dieudonne Kasereka said. FNL leader general Aloyse Zabampema was wounded, he said. Several areas formerly under rebel control were recovered by Congolese soldiers, he added. Reuters was unable to immediately confirm the army report. A spokesman for the Burundian army said authorities could not confirm fighting in Congo. The FNL is among several ethnic Hutu rebel groups that rose up to fight Burundi’s Tutsi-led military government in the 1993-2005 civil war. It officially disarmed in 2009, pockets of FNL fighters remain active in eastern Congo. Congo’s President Felix Tshisekedi, who took office in January, pledged to address the militia violence in the region.